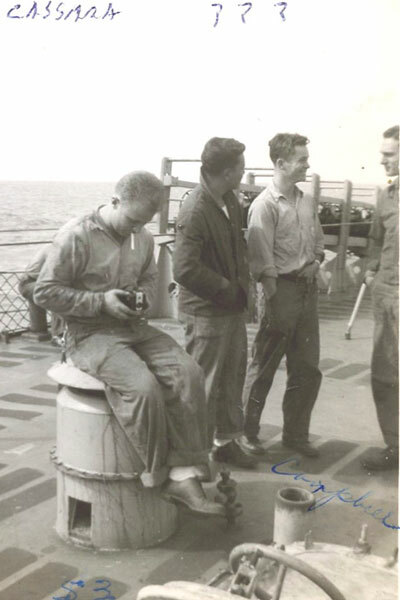 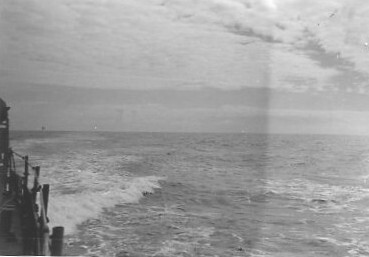 Ken Casassa (taking a picture with his Kodak Brownie camera) & 3 unknown shipmates on the fantail. 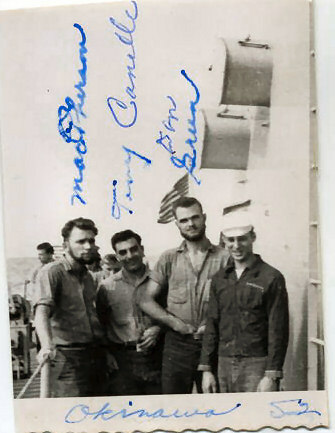 Bill Kendall, Tony Cannella, John Speranza, & unknown shipmate on the fantail. 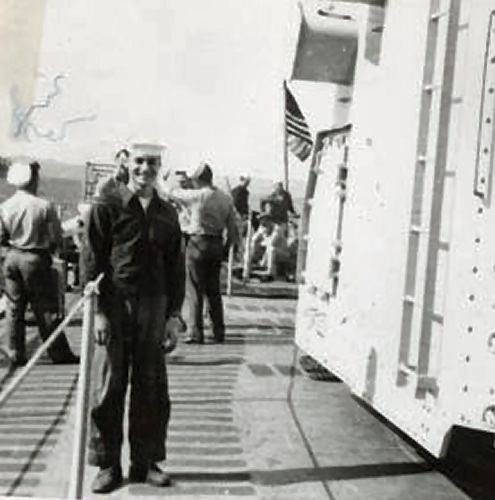 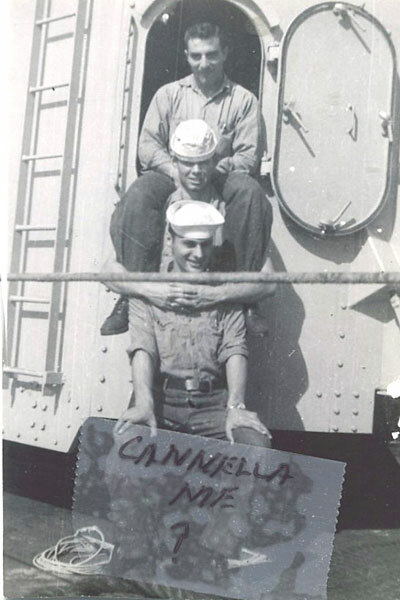 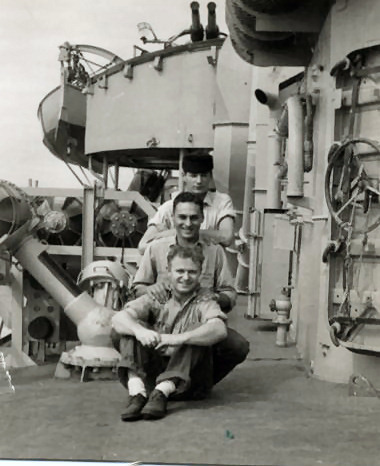 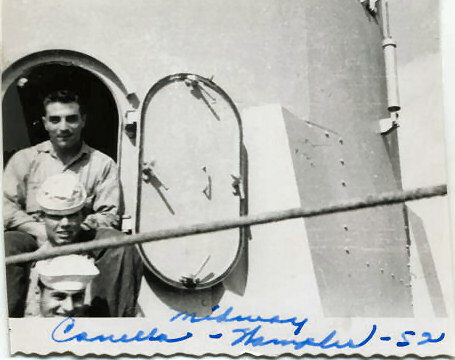 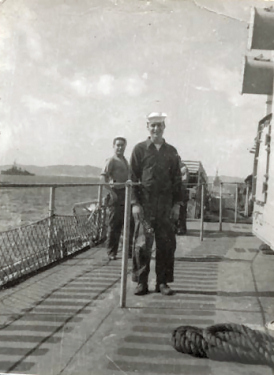 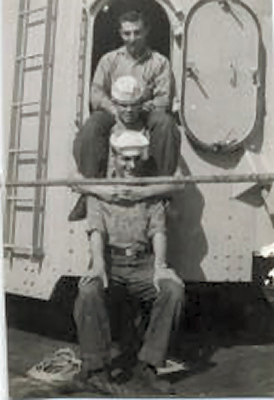 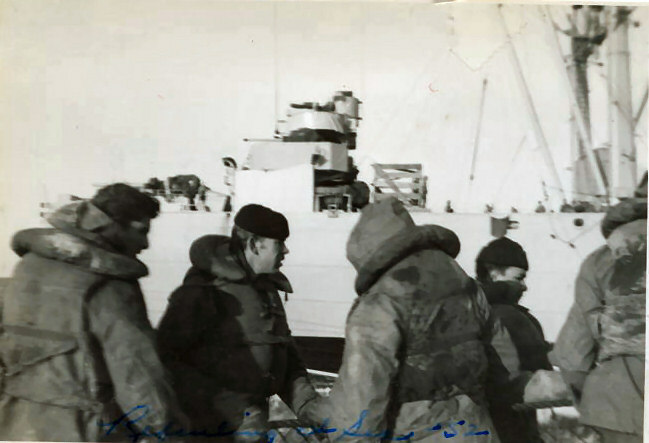 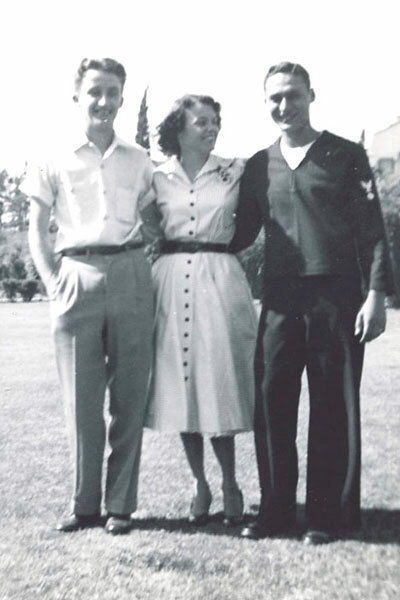 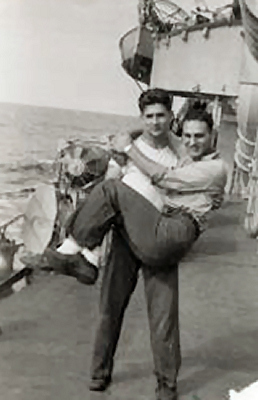 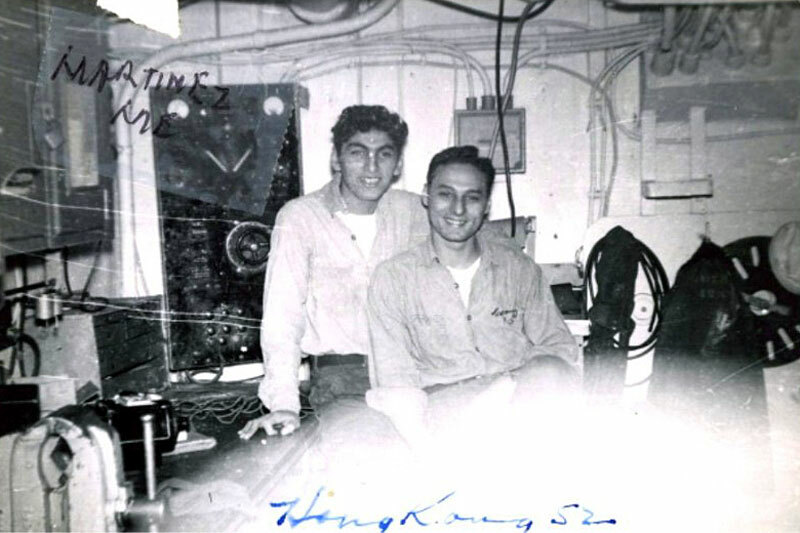 Top to bottom: Tony Cannella, John Speranza, & unknown shipmate at the door of a gun mount. 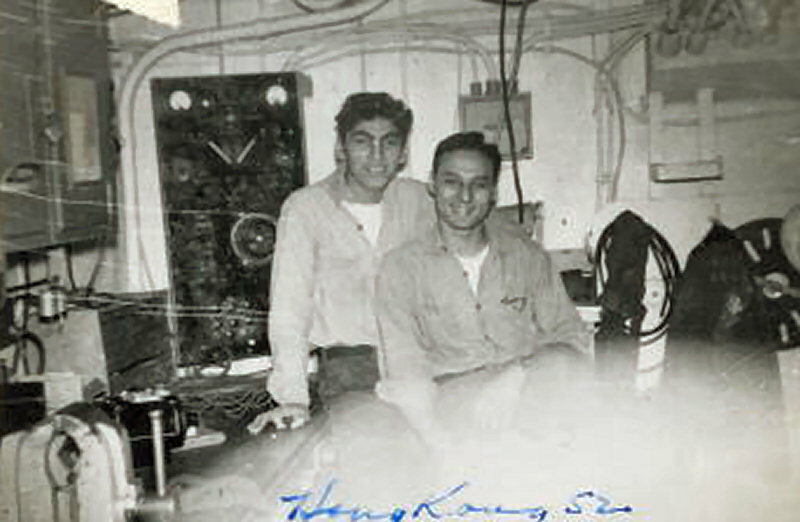 D.C. Martinez & John Speranza in the Electric Shop at Hong Kong in 1952. 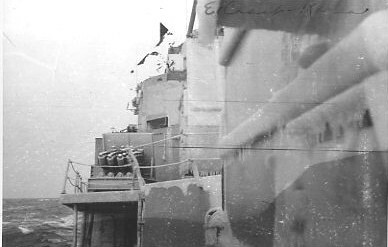 The shop was on the first deck forward of the Engineers Quarters on the starboard side. 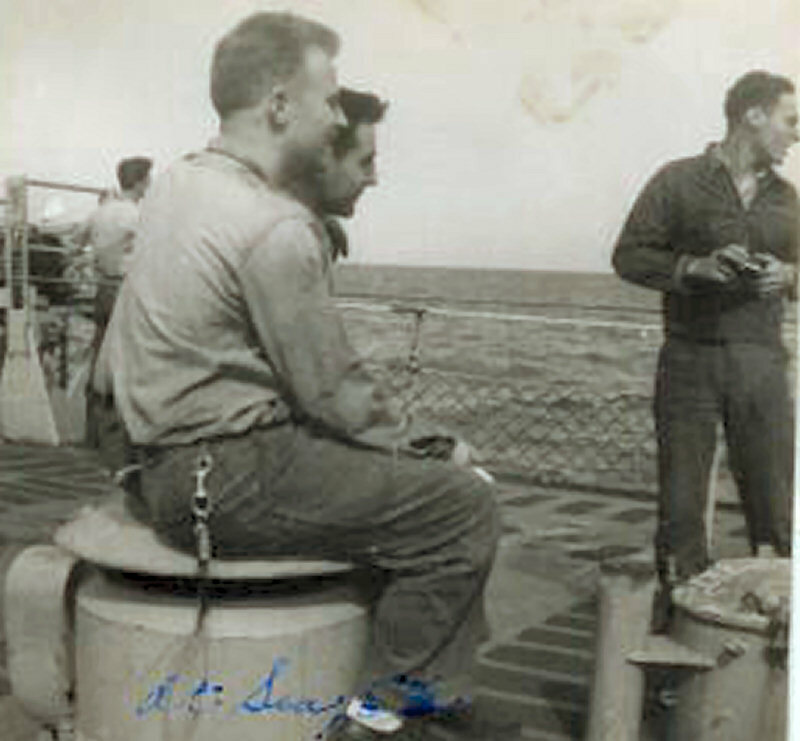 The Emergency Power After Diesel was forward on the Engineers Quarters on the port side. 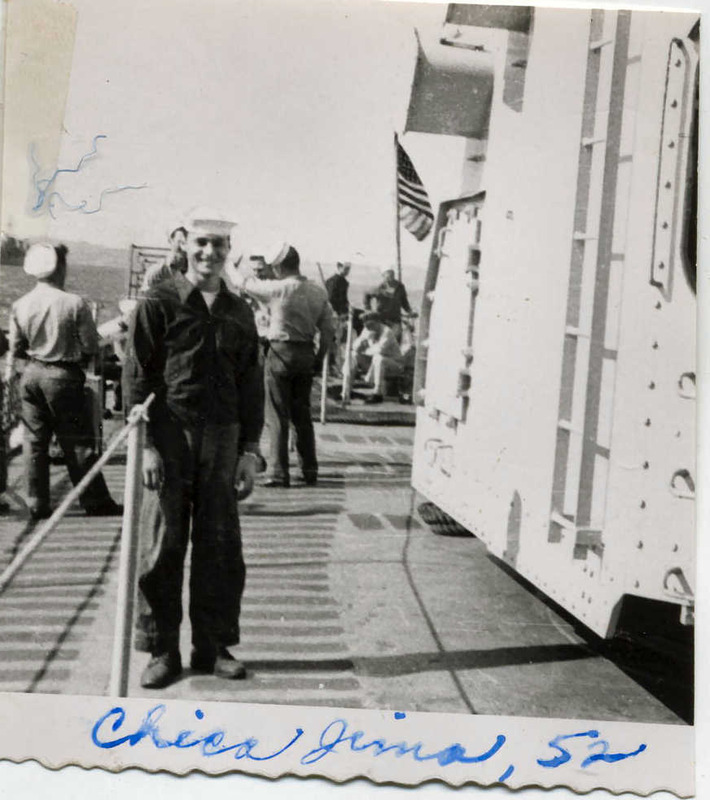 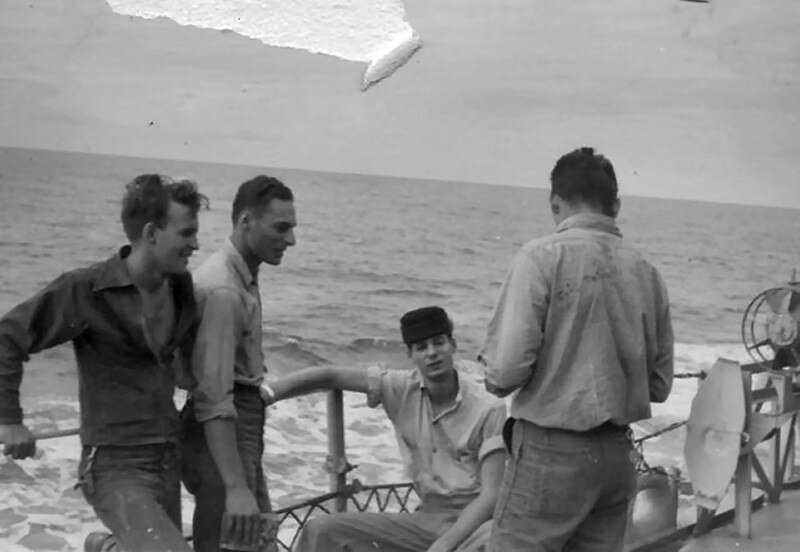 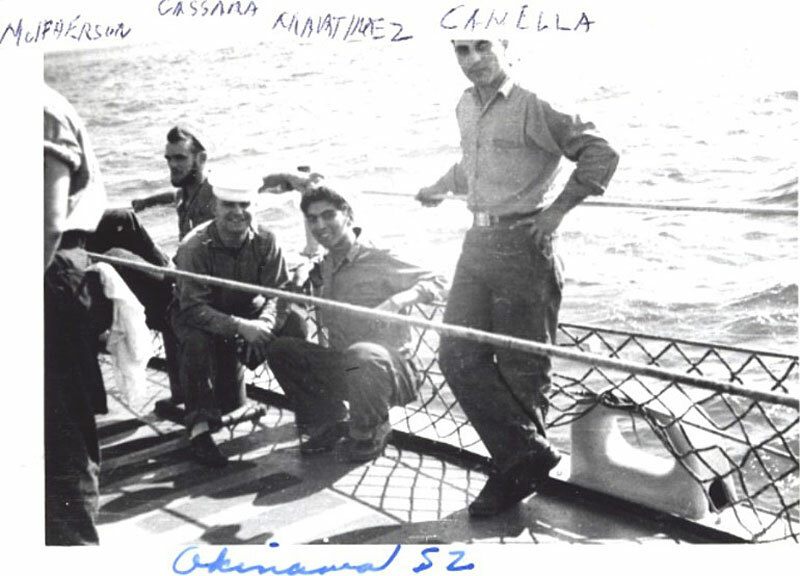 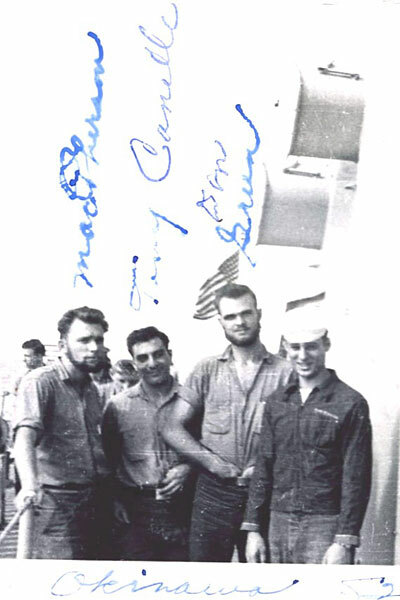 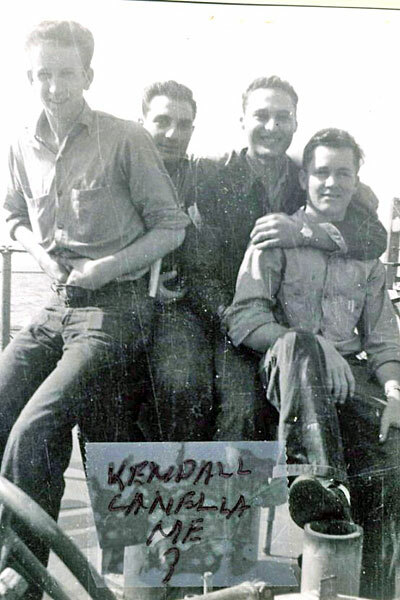 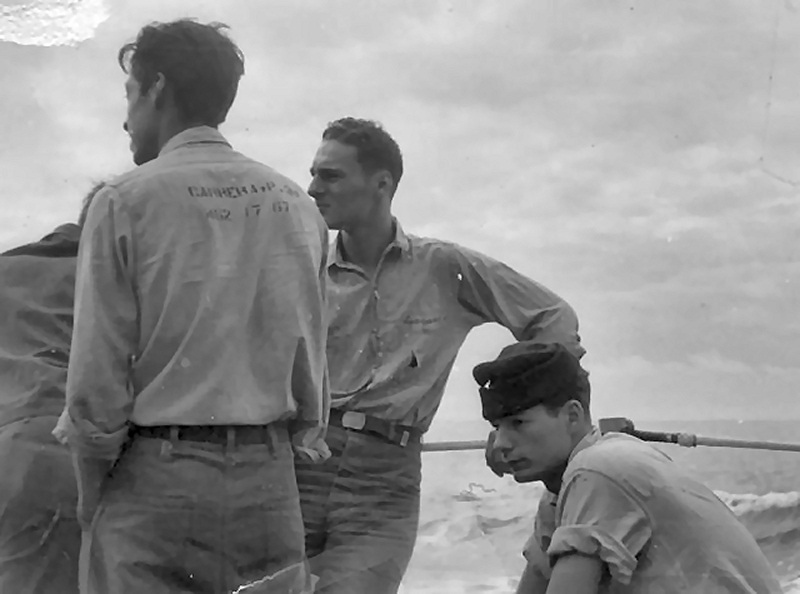 William McPhearson, Tony Cannella, Don Greene, & John Speranza on starboard side near the fantail at Okinawa in 1952. 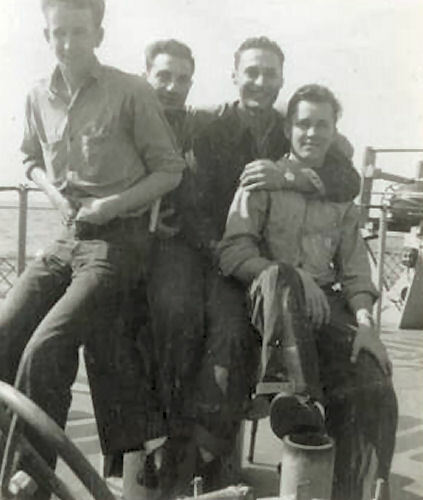 Top to bottom: Peter Casino, John Speranza, & Ken Cassasa on the port side near the stern. 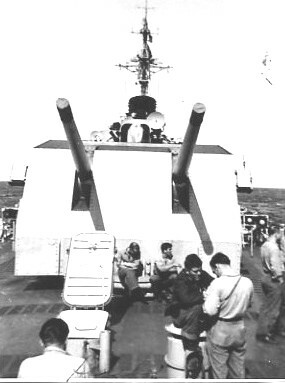 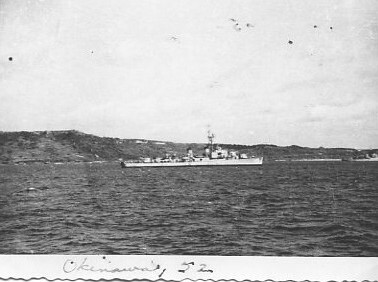 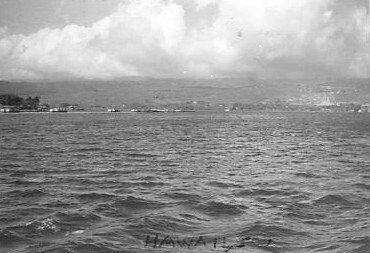 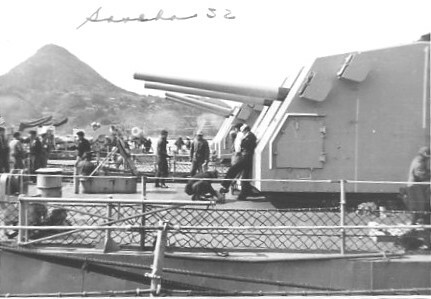 A K-gun and depth charges are in background. 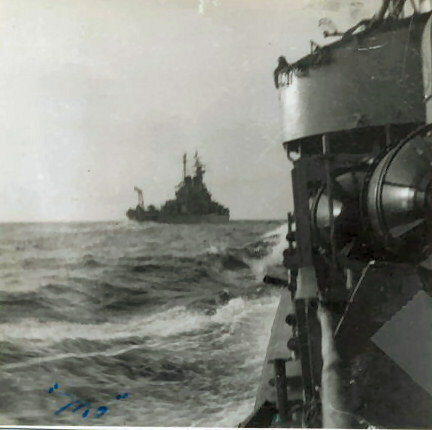 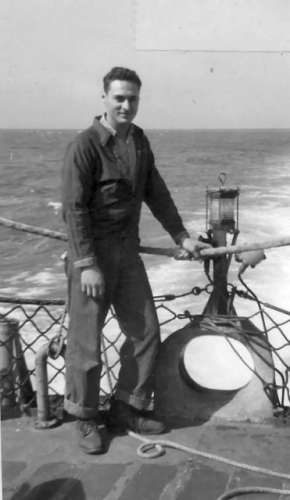 A depth charge was attached to a T-bar and then fired off with a shot like a cannon. 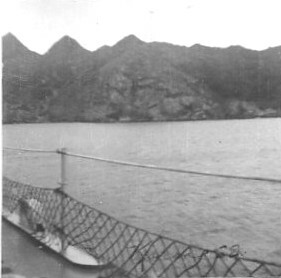 The T-bar would fall off as the charge descended to the water. 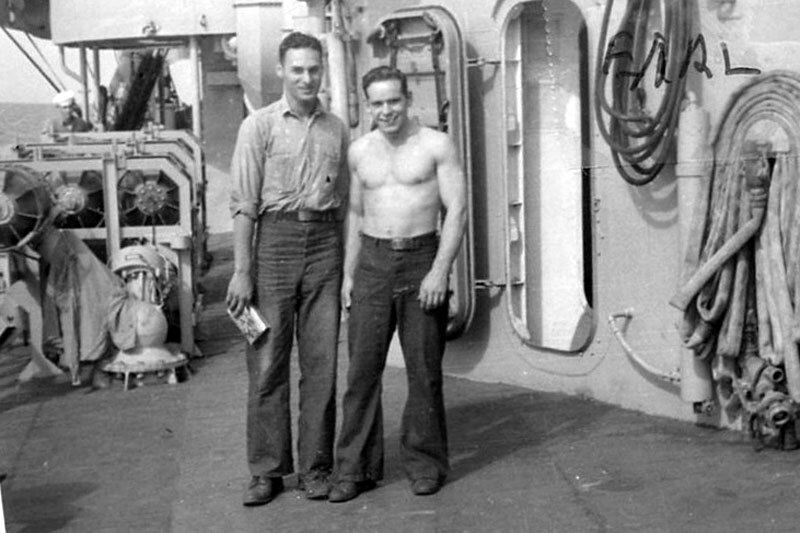 John Speranza & D.C. Martinez on port side near the stern. 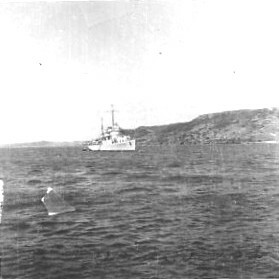 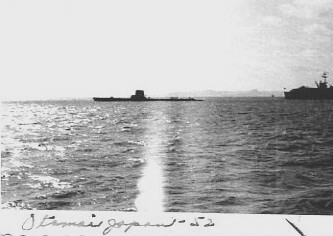 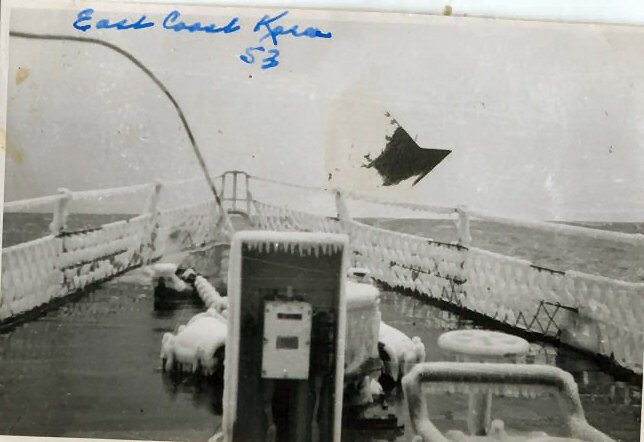 The bow while off the east coast of Korea in 1952. 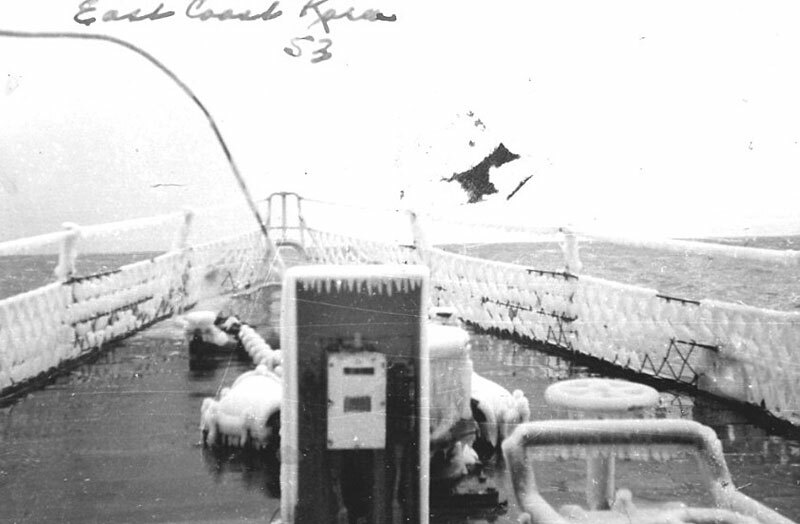 The anchor windlass would not work, so we had to work on the damn thing in this weather. 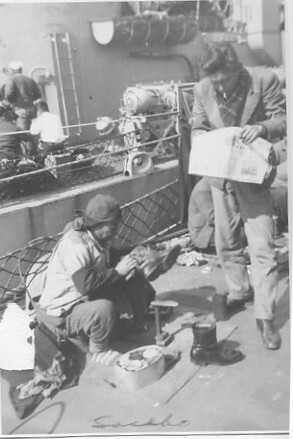 There were 4 of us and we took turns in twos, going into the paint locker aft of the windlass to keep warm. 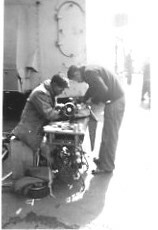 The Christmas tree was sent to me by my wife; we set it up in the Electrical Shop. 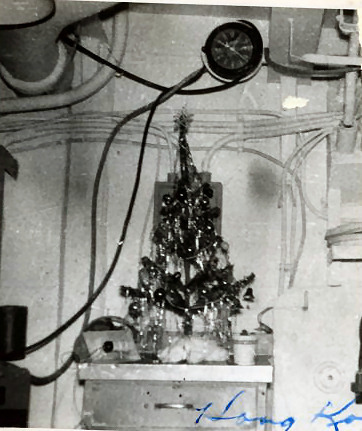 We did a really dumb thing; we took single strand wire and soldered 110V bulbs to it, painted the bulbs and put them on the tree. 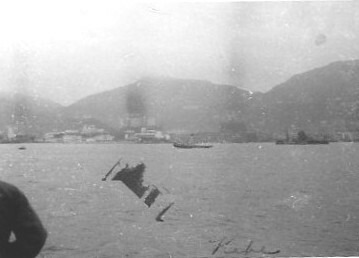 That tree was red hot. 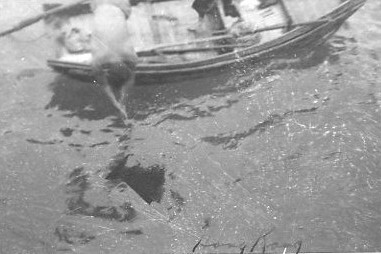 If you touched a wire and was grounded, you would become a statistic. 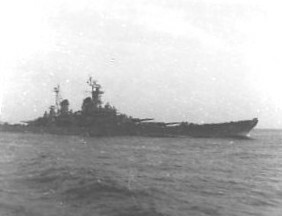 We told everyone to stay the hell away from our tree; no one got shocked. 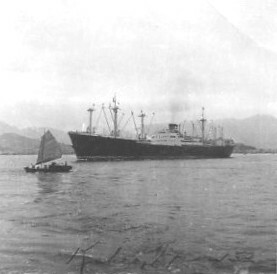 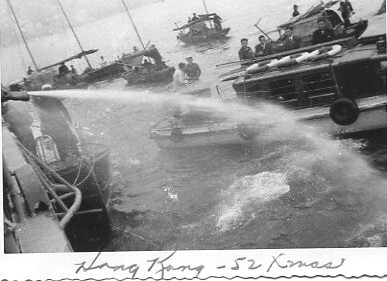 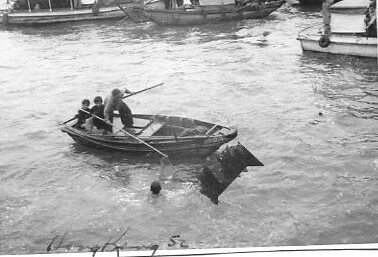 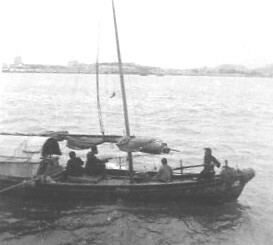 Hong Kong, 1952 – Sampans blocked us so they were hosed away.